ST. PAUL, MN — Minnesota Wild Senior Vice President of Hockey Operations Brent Flahr today announced the National Hockey League club has signed forward Dmitry Sokolov to a three-year, entry-level contract. 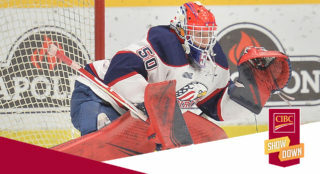 Sokolov, 20, recorded a career-high 96 points (50-46=96) and 18 penalty minutes (PIM) in 64 games during his third season in the Ontario Hockey League (OHL), splitting the 2017-18 campaign with Barrie and Sudbury. The 6-foot, 210-pound native of Omsk, Russia, collected 58 points (30-28=58) and 140 shots in 29 games with the Colts, including a career-high 17-game point streak (19-17=36) to finish the regular season (Feb.10-March 17). 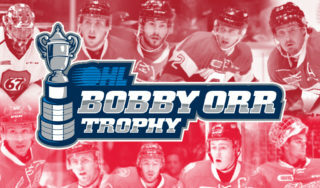 Sokolov led the OHL in PPG (18) and ranked T-1st in goals, T-2nd in GWG (9), fifth in scoring and ninth in shots (268). 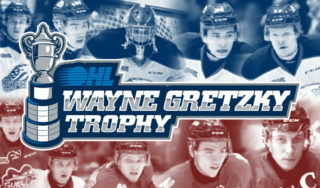 He was named the OHL Player of the Week (March 5-11) and the OHL Player of the Month for March. Sokolov led the Colts in playoff goals (8), PPG (5) and shots (46) and ranked second in scoring with 15 points (8-7=15) in 12 postseason games. He totaled 38 (20-18=38) points in 35 games with Sudbury prior to his trade to Barrie on Jan. 10. Sokolov also represented Russia at the 2018 IIHF World Junior Championship, collecting three points (1-2=3) in five games and leading the team with 18 shots. He tallied 124 points (78-46=124) in 132 games during two seasons with Sudbury (2015-17). 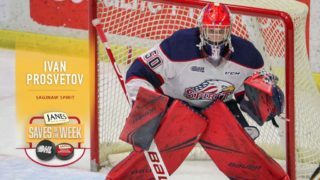 Sokolov ranked T-1st in the OHL in PPG (17), second in goals (48), T-8th in GWG (7), T-10th in shots (268) and 21st in scoring (72) during the 2016-17 season. He led OHL rookies during the 2015-16 season in goals (30), PPG (10) and shots (231) and ranked T-4th in scoring (52). Sokolov was selected by Minnesota in the seventh round (196th overall) of the 2016 NHL Entry Draft. For more information visit nhl.com/wild.